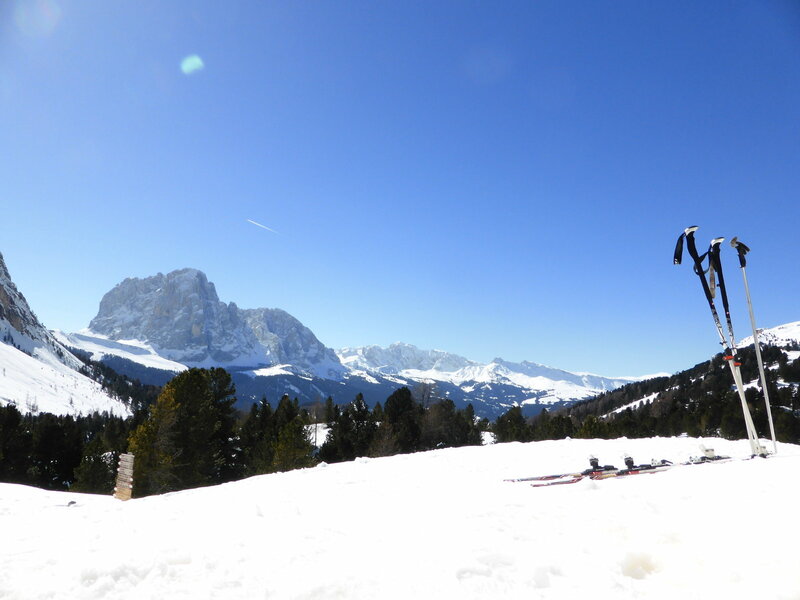 Packed your bags with skis or snowboard? 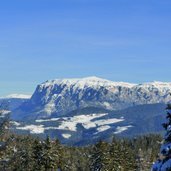 Sparkling white mountains and snow-covered pastures combine to create a true paradise for winter hikers. 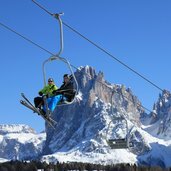 And perfectly groomed ski runs in the Alpe di Siusi skiing area and the Dolomiti Superski ski carousel guarantee great fun for skiers and snowboarders alike. 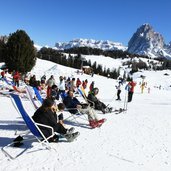 The Alpe di Siusi is an excellent destination in the winter as well as in the summer. 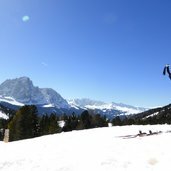 As the most extensive alpine pasture in Europe, it attracts nature lovers and athletes. 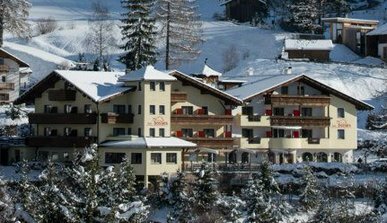 Those who wish to remain active during their vacation can choose from many activities such as skiing, hiking, cross-country skiing, sledging or even taking a coach through the beautiful winter wonderland. Wonderful! 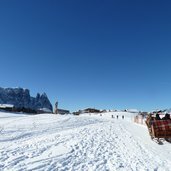 Winter hike on the Alpe di Siusi, here in January. 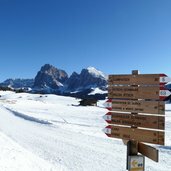 View on the snow-covered Sassolungo Group. 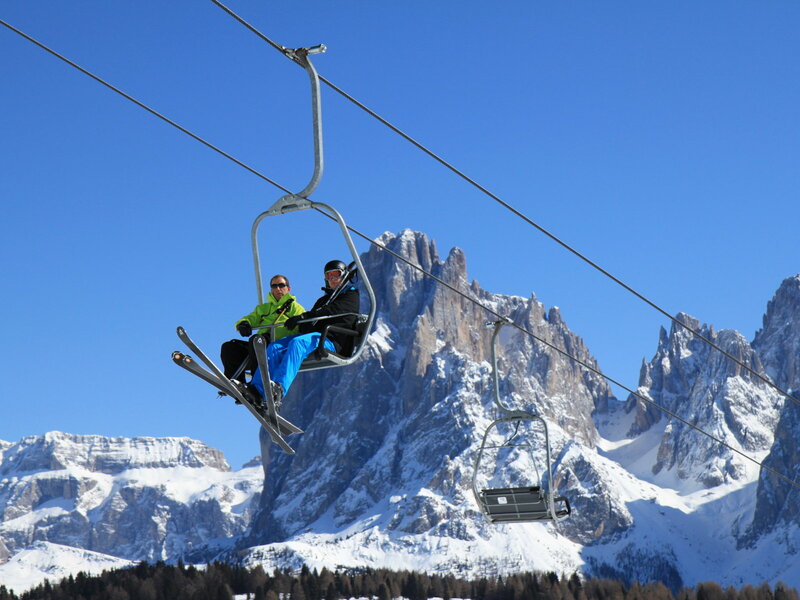 The Alpe di Siusi skiing area offers sunny slopes and snow guarantee. 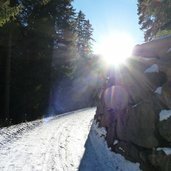 Skiing and sun - what a pleasure! 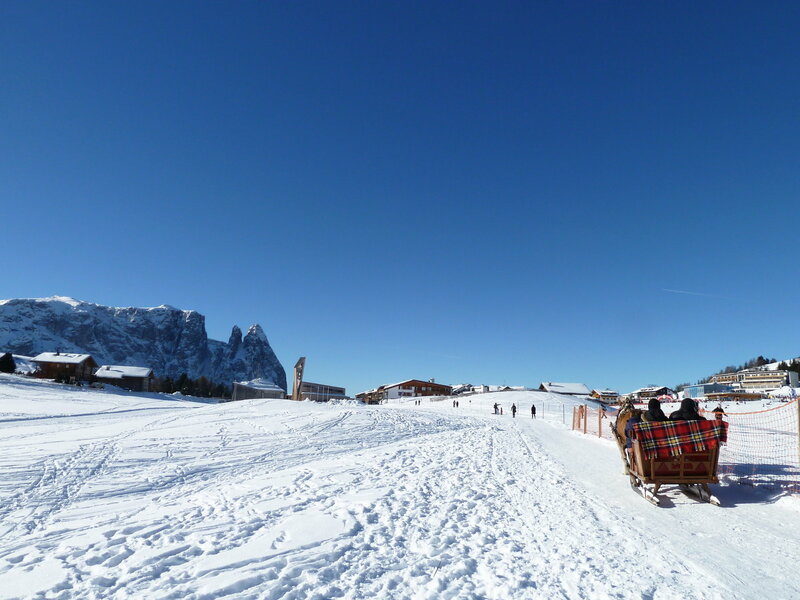 Also a horse-drawn sleigh ride with wonderful view on the Dolomites is possible on the Alpe di Siusi. Winter around Fiè allo Sciliar. View on Castel Presule from the time of Maximilan which impresses with its collection of arms. 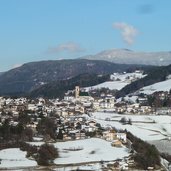 Castelrotto in the snow: the church steeple is famous for its pealing. Winter hike near Bulla - detail of the path. 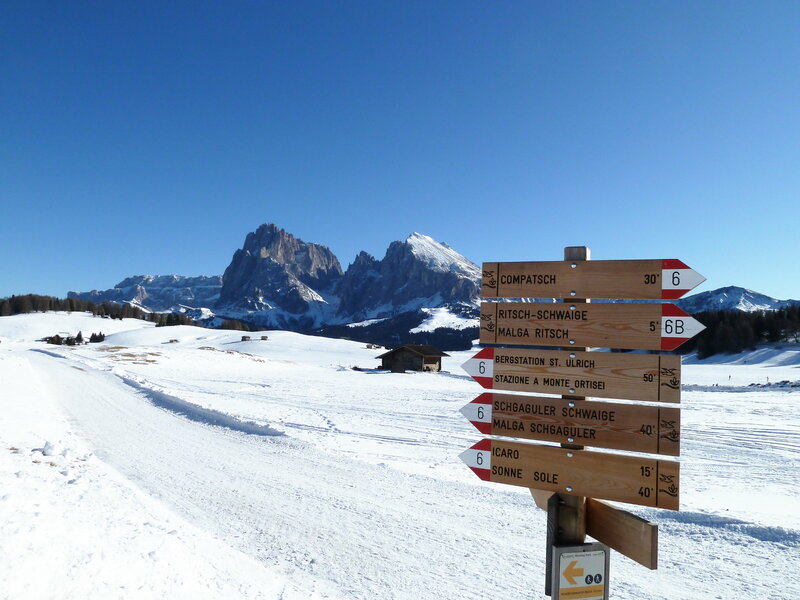 Walk towards Compaccio, located on the western side of the Alpe di Siusi. 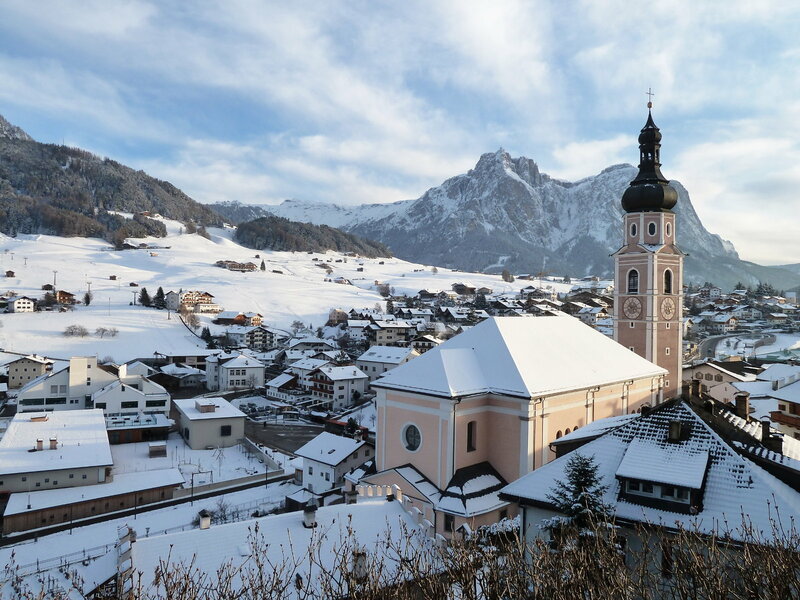 The Sciliar massif (2,563 m asl) in the South Tyrolean Dolomites, the emblem of South Tyrol. 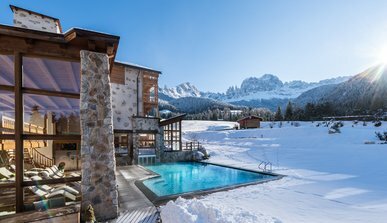 Snowy-covered high mountain pastures, sun-drenched slopes and enthroned above all the snow-capped rocky massif of the Rosengarten, these impressions make your winter holiday in the Dolomites a natural phenomenon. 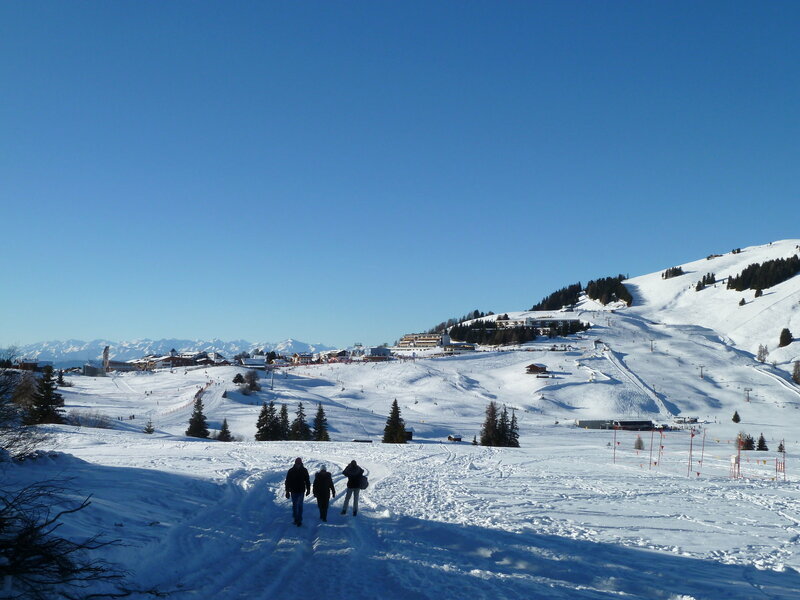 A snow-shoe paradise on the doorstep. 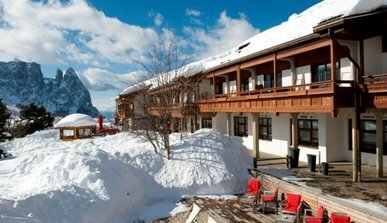 Set off from the front door of the hotel on the Catinaccio and discover the enchanting winter landscape. 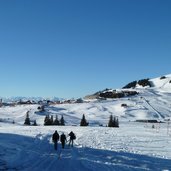 Beautiful winter holidays in the Alps! 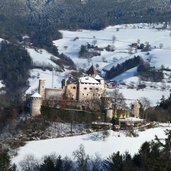 Your winter holiday in the Alps is characterized by great events, unique views and delicious pleasure. 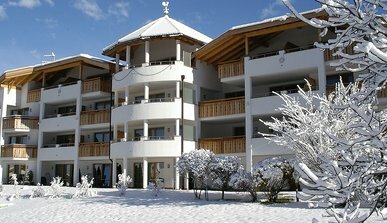 Holiday apartment for your skiing vacation in the most family-friendly ski resort in South Tyrol. After an energetic day in the wonderful landscape of the Dolomites the sauna area you to relax. Skiing tracks and skiing fun start directly outside the hotel. 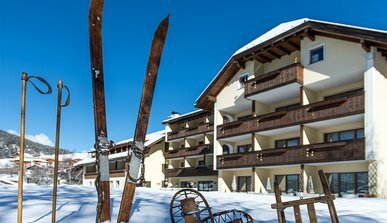 After a skiing day, relax in our SPA area. 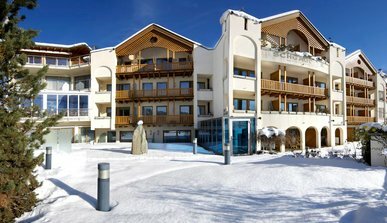 Two indoor pools, outdoor whirlpool, sauna-area with relaxation room, spa-treatments and gym provide maximum well-being.